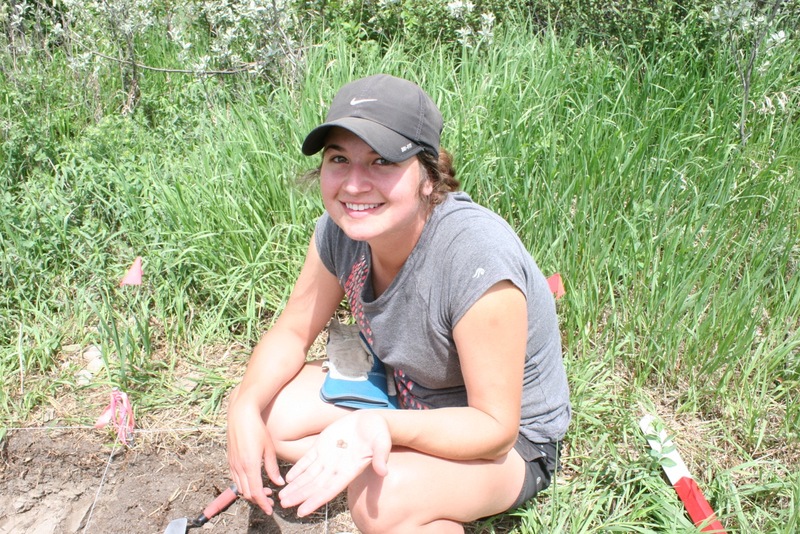 What a successful week out at Glenbow Ranch! 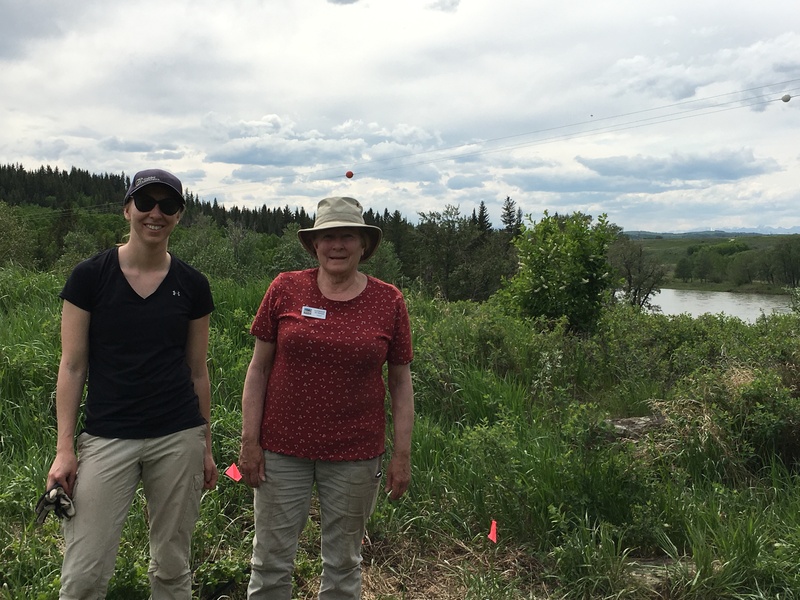 Our continued search for the bunkhouse got off to a great start with the help of Karen Tubbs and Marilyn Walker, who came all the way from Sundre to join us. 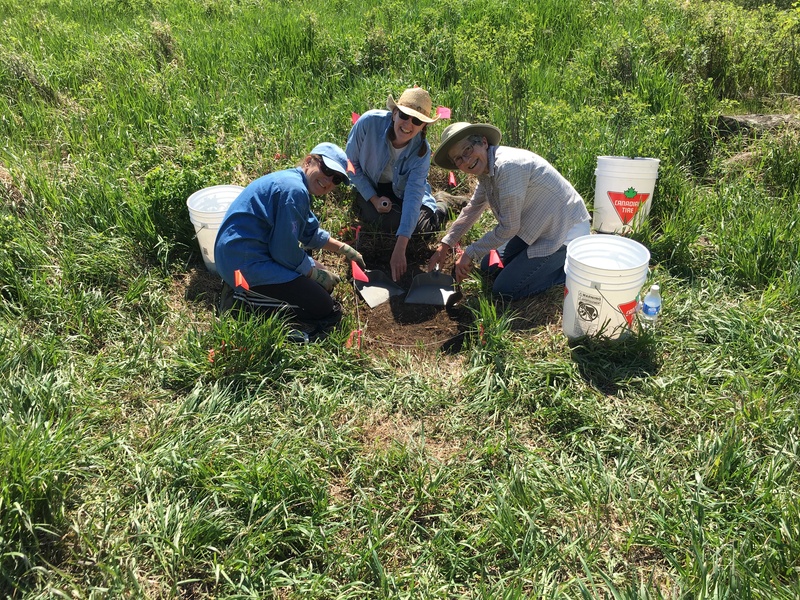 With their help, we continued work on our southernmost trench. In the afternoon, we were visited by a large group of bikers from Canmore. They were full of questions about archaeology and our current work, which Shari was delighted to answer. On Tuesday Shari and I learned a lot about laser scanning while working with Peter Dobson from Rapid3D. This company uses lasers to create 3D computer images of landscapes, buildings and objects, and we are so grateful they have returned to the project again this year. On Wednesday, we had another productive day thanks to the help of our two returning volunteers Megan Trefry and Katherine Peterson. We had another large bike group visit us; as it turns out, they were the husbands of the bike group we met on Monday. Just like their wives, they were eager to learn about the history of the park and the Glenbow Town and Quarry Project. Thursday was another great day filled with finds including a tobacco tag, nails, brick fragments and lots and lots of charcoal. Congratulations to Shirley Leew, our returning volunteer who found her first artifact- and quite a few afterwards! 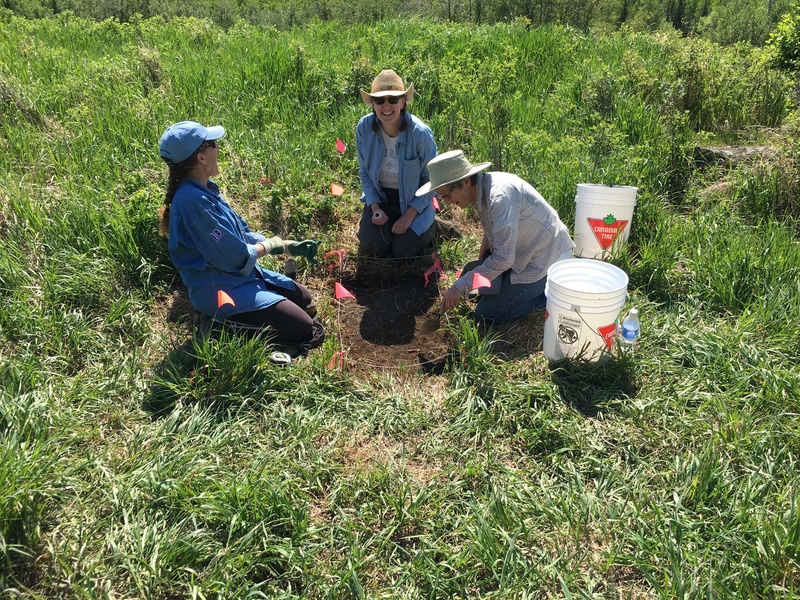 We are looking forward to another terrific week next week and we encourage you to come out and visit us at Glenbow Ranch Provincial Park or contact us at info@arkycalgary.com to sign up to dig for the day.